Our team provides comprehensive pediatric infectious disease service at UF Health Medical Plaza ( outpatient) & UF Health Shands (inpatient) to children from birth to age 21 with unusual presentations or complicated illnesses known or suspected to be caused by an infectious agents such as bacteria, viruses, fungi, parasites, & infections associated with vector-borne illnesses. Our providers are committed to the prevention, diagnosis, & treatment of infectious diseases that affect infants, children, & adolescents. 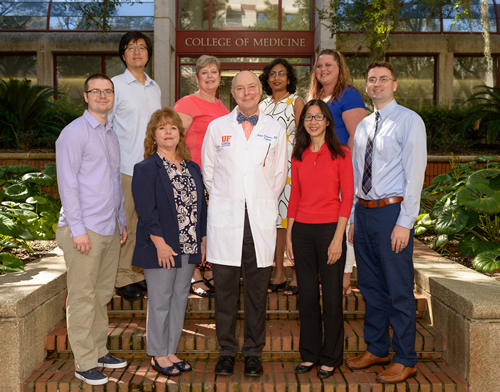 Our pediatric infectious disease providers work closely with other pediatric subspecialist in UF Health Shands, community health care providers & agencies in the North-Central Florida to the Florida Pan Handle. Our medical doctors provide education in infectious disease to the residency programs in our catchment area. Pediatric HIV/AIDs program provides HIV care to infants, children, & adolescents in North-Central Florida at Gainesville, as well as doing satellite clinics in Tallahassee, Panama City, & Pensacola. Our team will provide perinatal consultation to HIV positive pregnant women prior to delivery regardless of age. 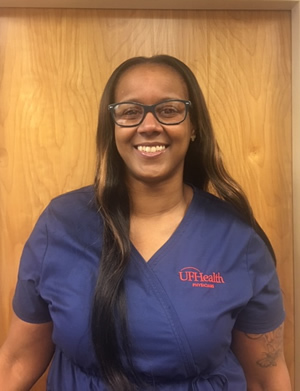 Our HIV team in Gainesville is a multidisciplinary team consisting of MDs, ARNP, Ryan White social worker, perinatal coordinator, & psychology resident. We have access to nutrition/dietary, pharmacy, social work as well as access to other pediatric specialties. The UF Health Access Center provides patients and their families with information about appointments, referrals, clinical services, and clinic locations. Patients can request information by email or call (352) 265-PEDS (7337). Our fax number is (352) 627-4415. The UF Health Access Center is available to speak with you during regular business hours (Monday-Friday, 8:00am-5:00pm EST).